We do not have to say that this is by far the Best CODE FREE 3D BLU RAY PLAYER on the market available today and if you are in the market for a Region Free & Multi Zone 3D Blu Ray Player then the choice is simple, get yours today. The BDP-103 represents a marked evolution in OPPO's design and engineering. New to this model are features such as 4k video up-scaling, 2D-to-3D conversion, dual HDMI inputs and MHL compatibility. A new dual-core System-on-Chip processor delivers quick startup and fast disc loading speed. With improved network streaming applications and an enriched media playback interface, the BDP-103 is a versatile player that delivers quality picture and premium sound. OPPO has earned itself the top spot in all aspects of audio and video and by far has taken the lead in the race of who is who in the Universal 3D Blu Ray Disc Player Industry. Multi Region Code Free DVD and Multi Zone Blu Ray Zone ABC this completes this HIGH END MACHINE, this unit will play any region DVD 0 1 2 3 4 5 6 7 8 PAL&NTSC 100% guaranteed, as well as Blu Ray Zone A/B/C on any TV in the world. This player has been UNLOCKED to play both Blu-ray region A/B/C, as well as DVD region 0,1,2,3,4,5,6,7,8. (regionfree) as a result the manufacturer warranty is void. All defects will be handled by us please email us with any issues and repairs. The BDP-103 is the latest consumer-level Universal Blu-ray player from Oppo. This is a player that will play back every disc (just about) that you've bought even if the format is dead (no HD-DVD though). This means SACD and DVD-A lovers can still enjoy their legacy discs without having to resort to a lesser player. The BDP-103, however, has really made some huge gains in the video department. While the last player was 3D capable, the BDP-103 sports Dual-core SoC and Marvell Qdeo processors with 4K upscaling. On top of that, the BDP-103 can convert your 2D content to 3D so that you get the maximum use out of your 3D display. Networking is always important and Oppo has included not only wired but wireless streaming. This allows for App control plus access to pre-loaded Netflix, VUDU, Film Fresh, Pandora, and YouTube. The Netflix streaming allows for the highest possible quality with 1080p video support and 5.1 audio. Cord-cutters can rejoice as the new Oppo BDP-103 is looking to become the new hub of your content world. The front sports not only a USB input but an HDMI input that doubles as an MHL (Mobile High-definition Link) input. This makes connecting your portable devices much easier. You can even connect set-top boxes or network streaming devices to the BDP-103 and take advantage of the Oppo's superior video processors. Flipping the player around and you'll find both more and less than you'd expect. The Oppo BDP-103 sports dual HDMI outputs and a second HDMI input. There is an Ethernet input for a wired connection. Coaxial and Optical digital audio outputs are on board as are 7.1, RCA-style, analogue audio outputs. These outputs can be configured for 7.1, 5.1, or 2.0 output. Two additional USB inputs allows for a multitude of connected devices (we could imagine at least five possibilities) making the Oppo BDP-103 not only a top of the line Blu-ray player but a standalone video processor. RS-232 and IR connections make it possible for custom installers and power users to easily integrate the Oppo BDP-103 into their universal remote system. What is missing on the back of the Oppo BDP-103 is any sort of analogue video output. There is a a composite video output labeled "DIAG" but this is just to use the on-screen menu when there is no media playback. This is not Oppo's fault. As we reported previously, the AACS stipulates that "No Licensed Player that passes Decrypted AACS Content to analog video outputs may be manufactured or sold by Adopter after December 31, 2013." Oppo, instead of having to deal with defeating the analogue outputs in a few more months, has just omitted those video outputs. The DAC is the same as the BDP-93, the Cirrus Logic CS4382A (8-ch, 24-bit, 192khz). in-house power supply. The unit is taller, the linear power supply is more isolated from the rest of the player, the audio board is two separate boards (allows for more natural airflow) and there are vents on the top and rear panel of the player. OPPO says: "The BDP-105 retains the BDP-95's very detailed and accurate sound, and the performance measurements are almost identical to the BDP-95. In order to maintain the extremely high performance of the BDP-95 while adding new audio features including the headphone amplifier and the USB DAC input, we utilize two separate boards for the multi-channel and stereo sections. This results in increased cost and manufacturing complexity, but enables us to better route the signals, power and ground so we can ensure a high level of performance." Blu-ray Disc - The high definition Blu-ray Disc� format provides pristine video and audio quality for your home entertainment. Blu-ray 3D � Experience high definition in all new dimensions. The BDP-103 supports the Blu-ray 3D specifications and is fully compatible with Blu-ray 3D discs1. 2D to 3D Conversion � Take your standard DVD, Blu-ray, and other video content to the next dimension by converting them into 3D with the simple press of a button. The BDP-103 can also adjust the depth and eye convergence levels to suit your personal preference. BD-Live & BonusVIEW - The BDP-103 supports BD-Live� (Profile 2.0) and contains all necessary hardware - audio/video decoder, Ethernet and wireless networking, and 1GB of internal storage - for BD-Live. It also supports BonusVIEW (Profile 1.1) enabling "picture-in-picture" and audio features for viewing director or actor commentary while the main movie is playing. Qdeo by Marvell - The BDP-103 incorporates Marvell's Kyoto-G2H video processor with the latest generation Qdeo� technology. Qdeo video processing delivers a truly immersive viewing experience by rendering quiet natural video free of noise and artifacts for all types of content. For high-quality Blu-ray content, the BDP-103 faithfully reproduces the program just as the director intended; for DVD, the up-converted picture quality bridges the visual gap from your current DVD library to Blu-ray discs; for network streaming and user-encoded content at a variety of formats and quality, the BDP-103 offers enhancement options including video noise reduction, compression artifact reduction, intelligent color, contrast, detail and edge enhancements. To learn more about the Qdeo video processing technology. True 24p� Video - Many Blu-ray Discs are recorded at 24 frames per second, the same frame rate as the original movie's theatrical release. The BDP-103 can faithfully redeliver the original frames using 1080p 24Hz output (compatible display required) for smoother motion and a flicker-free, film-like home theater experience. It can also restore the original 24 frames per second progressive-scan video from well-authored DVDs and output 1080p 24Hz. Dolby� TrueHD - Dolby TrueHD delivers lossless studio master quality audio designed specifically for high definition entertainment. The BDP-103 supports bit-stream output of Dolby TrueHD via its HDMI 1.4a output. It can also internally decode Dolby TrueHD into LPCM and output via HDMI or the 7.1ch analog audio output terminals. Dolby Digital and Dolby Digital Plus audio formats are also supported. Dual HDMI Outputs � Two HDMI v1.4a output ports are provided to offer the most versatile installation options to both older and newer HDMI equipment. You do not have to upgrade your A/V receiver to a 3D model in order to enjoy 3D. 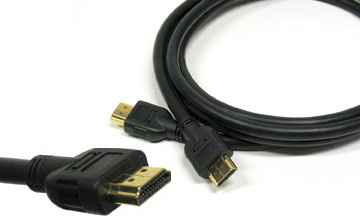 One HDMI output of the BDP-103 can be connected to a 3D TV and the other can be connected to a pre-3D HDMI v1.1-1.3 A/V receiver. For projector users, you can connect one output to a projector for home theater use and the other to a TV for casual viewing. For a multi-room installation the BDP-103 can output audio and video to two 3D or 2D TVs simultaneously. Dual HDMI Inputs � Connect external devices such as set-top boxes and network streaming devices to take further advantage of the excellent audio and video processing functions by the BDP-103. The BDP-103 offers two HDMI inputs, one on the front and one on the back. MHL Input � Simplify connecting smartphones, tablets and other mobile devices to the home theater by using the MHL (Mobile High-Definition Link) input port of the BDP-103. Display high resolution pictures, 1080p video and listen to pure digital music all while simultaneously charging the connected mobile device. The front HDMI input port of the BDP-103 doubles as the MHL input. Wireless & Ethernet � Using the included wireless-N adapter or the built-in RJ45 Ethernet port, users will be able to interact with BD-Live content, watch instant streaming programs from providers such as Netflix or VUDU, playback contents stored on their home network, and keep the BDP-103 up-to-date with firmware releases to ensure maximum Blu-ray compatibility. PAL/NTSC Conversion - The BDP-103 supports NTSC and PAL systems for both disc playback and video output. It can also convert content of one system for output in another. Remote Control Apps � For additional user convenience, the BDP-103 can be operated using remote control apps running on compatible smartphone and tablet devices. The remote control app for Android is already available. An app for Apple iOS devices is coming soon. Gracenote MusicID� and VideoID� - By connecting to Gracenote's global media database over the Internet, the BDP-103 can offer an enriched playback experience by displaying Cover Art, Title, Artist, Genre and other media information for CD, DVD, Blu-ray and a wide range of digital media files. HDMI Audio: Dolby Digital, Dolby Digital Plus, Dolby TrueHD, DTS, DTS-HD High Resolution and DTS-HD Master Audio, up to 7.1ch/192kHz PCM, up to 5.1ch DSD.